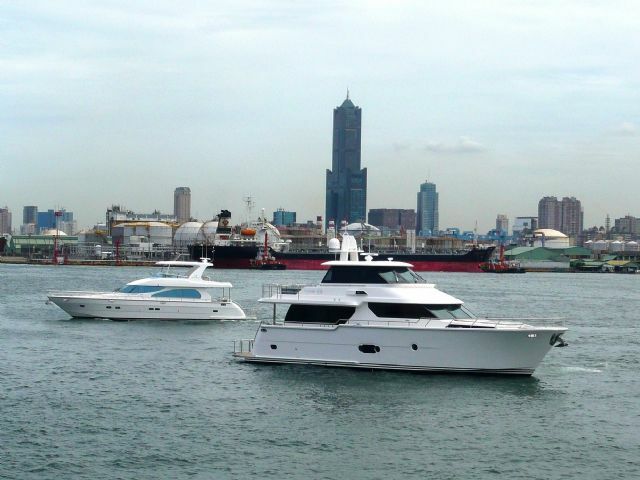 Taiwan is set to extend its reign as the world's sixth largest producer of yachts for the third year in 2015 (Photo courtesy of Horizon Group). Following over five decades of development, the yacht building industry in Taiwan has established a solid name among professional buyers and yacht owners throughout the world, helping the island retain its crown as Asia's biggest producer of yachts 80 feet and longer in 2015. The latest news report from the ShowBoats International, a global yacht publication, shows that Taiwan is set to rank among world's sixth-largest supplier, or the biggest in Asia, for the third consecutive year in 2015, when the total length of mega yachts and super yachts ordered with local builders is estimated at 5,312 feet. With its long coastline, deep-water port, well-developed piers and high density of the industrial cluster composed of steelmakers, material and marine hardware suppliers and yacht builders, Kaohsiung is main center of Taiwan's yacht industry. According to the Taiwan Yacht Industry Association (TYIA), yacht builders in the southern metropolis command about a 91% share of the total length of yachts planned for construction this year, which will help boost Kaohsiung's global image as Taiwan's oceanic capital and a major supplier of luxury yachts. Taiwanese yacht builders also enjoy a good reputation in the global market thanks to their strengths in production techniques, such as 3D forming processes for FRP (fabric reinforced plastic) ship hulls, metalworking, woodworking and furnishing. Kaohsiung is Taiwan's main yacht manufacturing base (Photo courtesy of Horizon Group). 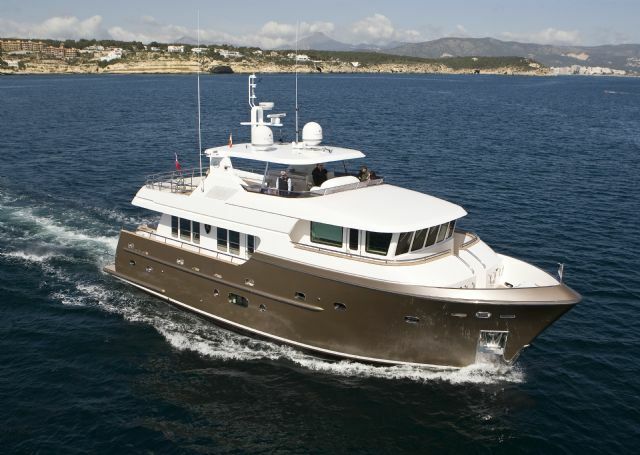 Quality workers have also played a big role in the success of Taiwanese yacht builders. Taiwanese makers have generally worked with local vocational schools and universities, including National Taiwan Ocean University and National Kangshan Agricultural & Industrial Vocational Senior High Schools, to train employees and attract more young workers to the industry. TYIA's newly inaugurated chairman, C.H. Chang, also the president of Global Yacht Builders Co., Ltd., one of Taiwan's best-known yacht makers, noted that the 2nd Taiwan International Boat Show (TIBS), scheduled to open on March 10, 2016 in the Kaohsiung Exhibition Center, is expected to see a bigger turnout than the earlier edition. The biennial TIBS was inaugurated by the Kaohsiung City Government and Bureau of Foreign Trade in association with the Taiwan External Trade Development Council and TYIA in 2014 to promote Taiwan's top-end yacht industry. The 2014 show was joined by 200 exhibitors at 800 booths and attracted more than 70,000 local and foreign visitors during its four-day run beginning May 8. With over 60 yachts and a wide range of related components and equipment on display, the show proved to be a successful business platform. The first TIBS in 2014 attracted more than 70,000 visitors and was regarded by local yacht exhibitors as a resounding success (Photo courtesy of TIBS organizers). 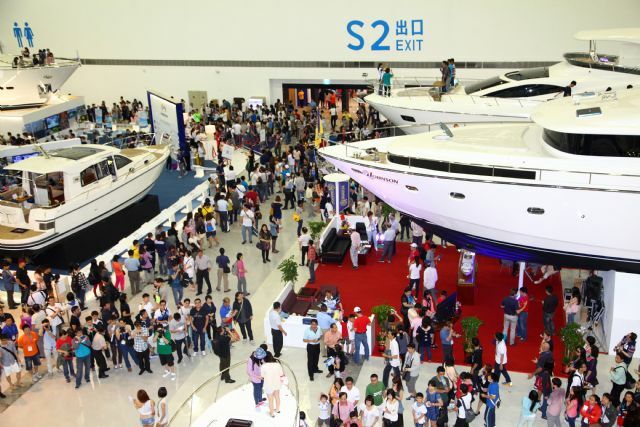 Chang stressed that the second TIBS will host over 200 exhibitors from Taiwan, China, Germany, Sweden, Australia, the U.S., New Zealand, the U.K., Italy, Singapore, Hong Kong, Canada, Japan, Korea, the Philippines, Indonesia and other countries with strong yacht demand. The exhibitors are expected to lease more than 900 booths, ensuring that TIBS stays the largest yacht trade fair in Asia and further propels the industry's growth in 2016.